Triple Layer High Density Foam with Memory Foam. Built-in Lumbar Support for true ergonomic seating. 10-year unconditional warranty, including foam and fabric. Build your chair! 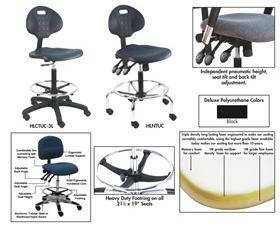 Add casters or optional arm supports from the chart below depending on your business needs. Cushions are ergonomically contoured for long term comfort and the seats have a waterfall front edge for increased blood flow. Built-in lower lumbar gives added back support. Extra wide, heavy duty base increases stability. Chairs with tilt: seat tilts 6 degrees forward, 6 degrees rearward, back tilts 15 degrees backward and 11 degrees forward. All products meet and exceed ANSI/BIFMA, CA117, GSA and DIN standards. No-tools assembly. FOB Shipping Point. 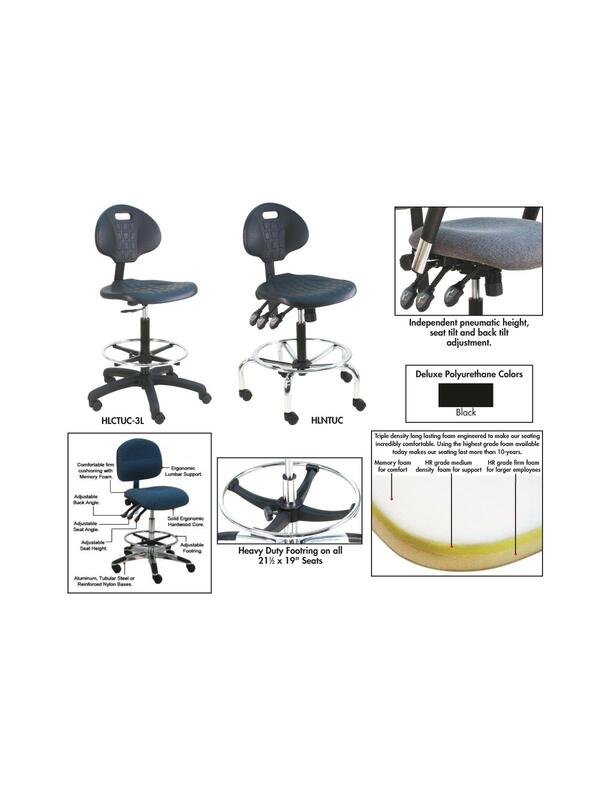 See Related Items tab for Benchpro™ ESD Fabric Industrial Chairs, Benchpro™ ESD Cleanroom Industrial Chairs and Benchpro™ Fabric Industrial Chairs.